The Amazon Prime membership scheme has been around for a few years now. It started off with members just getting free next day UK delivery on eligible items. It was then expanded to include some free Music (about 2 million songs) as well as a selection of free Films and TV programs. 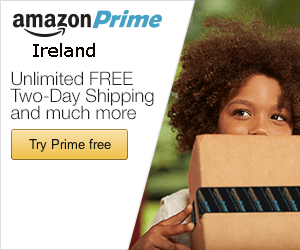 Since July 2018 – Amazon Prime members now get FREE priority (2 day) delivery to Ireland on all orders of Prime eligible items). Normally this 2 day delivery to Ireland would cost a minimum of £14.98. Not all items sold on Amazon are eligible for Prime – but there are thousands that are. You can get a free 30 Day Trial of Amazon Prime here . Even better offer – Third Level students in Ireland can get a 6 month FREE trial of Amazon Prime. You can sign up here on the Amazon Prime Student Sign up page . The normal price of Amazon Prime is £7.99 per month or £79.99 per year. As well as the free 2 day delivery to Ireland you also get access to Prime Video. Amazon Prime Video for Irish members is not as extensive as the UK version – but when we checked in mid 2018 there were 3221 films available and 360 TV series. Amazon Prime members in Ireland can also borrow from thousands of ebook titles from the Kindle Owners’ Lending Library. You can also get free secure, unlimited photo storage. Of course, Irish residents with Amazon Prime also get free next day delivery to all UK addresses. The best way to find out if it is any good for you – is to sign up for a free 30 day trial . If you don’t think it’s worth £7.99 a month you can just turn off the auto renewal before the 30 day trial runs out . 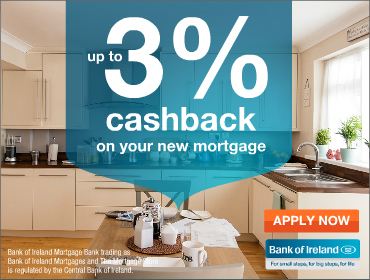 The option of Free Super Saver delivery to Ireland on orders over £25 is still available for non Prime members – but this can take 4 to 6 days and sometimes more. You can stream Amazon Music Unlimited songs on your phone , Kindle Fire, Tablet , Amazon Echo , Laptop or PC. You can also download songs to play offline.